Can someone kindly explain the significance of why it matters? In my ignorance please forgive me. I should know. Yes I know to pray for those afflicted but are Jews special in the eyes of God. Am I condemned if I am not a Jew? this is all true…except….there are no “end times” as you see them. If you dig further you will find that they, just like they did for 30 pieces of silver, denied that ANY of the 70 AD events took place as they did. Jesus died for our sins and said IT IS FINISHED. Now everything, including a third temple, is INSIDE of us. God’s kingdom comes down to us. This is Jesus’ “second coming”….his Holy Spirit. Lots and lots to say but one would have to know if anyone is open to hearing about it. My book won’t be ready for about a year, but I can tell you now you’ll all be shocked. I am glad to read something which confirms what I often have in my heart. Revelation 2:9, 3:9. ‘They are Jews and are not, but are a synagogue of Satan’. Actually is obvious if you see the ‘Magan David’ as symbol of the flag instead of ‘Menorah’. 40 years ago after being a born-again Christian and active in part time ministries, it was no questions for me to support Israel following the ‘Mainstream Christianity’ teaching, but then the change in my heart, which told me that the foundation/formation of ‘State Israel’ was political AND had nothing to do with ABBA’s will. It is ‘similar’ to what Abraham and Sarah did, in order to fullfill the promise of ABBA to have many descendants. They made ‘their human logical decision’ about Hagar (since they were old and no descendant at all). For those, who didn’t aware about the deception, they did same like ‘Abraham and Sarah’. If it is true what I heard, then the ‘Invasion of Gog and Magog’ happened same time with the foundation of ‘State Israel’, NOT from Russia etc as the mainstream trying to teach all the time. According to DNA, many of the ‘Jews’ also descendants of Romans Empire, who converted to Judaism, not just from Khazar’s empire. Many brothers and sisters see me as anti-semite which it is not true. Is a very difficult topic since the Muslims are trying to use this fact for their purposes too. Thank you for your comment Ron! Zionist Israel is one of the enemy’s biggest end-time deceptions. And Zionist Christians are missing the big picture about what took place in the first century. In the days when the Roman Empire was at its height of power, Messiah setup the kingdom of His Father. Messiah caused the city of Jerusalem to be desolated, and then He setup Holy Jerusalem, which is made up of His saints. Messiah caused the Jewish temple to be destroyed; and then He setup the true temple that is made without hands, in which the Father dwells; as He is the cornerstone, the disciples are the foundation, and the saints are the little stones which make up the walls. Messiah caused the High Priest, the Sanhedrin and the Jewish priest system to be removed from power; and He became our High Priest, and He made His saints the priests who offer spiritual sacrifices. Messiah used the Roman army to effectively end the Jewish nation; and His holy nation, which is made up of believing Jews and Gentiles, was created. Oh what a glorious day, when Messiah returns, and we enter into the fullness of that kingdom; with all of the saints of history! Wow! Just wow! I separated myself from “churchianity” 20 years ago. Only recently though , I decided to read the whole bible for myself. As I read , I flip from this book to that book , putting things together so they make sense. Prophesy hooking up with history. I end up with many questions , doing hours of research and firmly believe that the Holy Spirit is leading me to the many truths I asked to know about. This is one of those truths. I can’t explain the process that brought me to this website , but it has confirmed what I suspected about the nation state of Israel and the blind acceptance and support by the Christian “church”. Thank you for this article. Very well done and easy to understand. Thank you for your comment Denise! 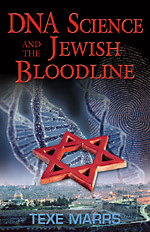 It was an amazing journey to learn the truth about the Jews in Israel, which is a huge deception to most Christians. Most people called Jews are fake Jews; Edomites who integrated with the Jews before Messiah’s first advent; and Khazar Jews converted to Judaism and are are using Babylonian Talmudic Judaism to serve serve the god of mammon. For the time will come when they will not endure sound doctrine; but wanting to have their ears tickled, they will accumulate for themselves teachers in accordance to their own desires. We are seeing this today everywhere. I think the Christian church doesn’t teach this because many are 501c3. Being subservient to the government doesn’t help; but I don’t think that most Pastors know the truth about the Ashkenazi Jews; and they’ve been taught at seminary to support Israel. Being a Jew is a religious identity. The Ashkenazi Jews have European DNA. The source of that DNA is Germany, Lithuania, Poland, etc. Jews have been dispersed throughout the world for over 2,000 years. A Jew from one side of the planet has nothing in common with a Jew from the other side of the planet. The only commonality is their faith. Even if an Ashkenazi Jew had ancestors from the ME, they would have been over a 1,000 years removed from it. It’s ridiculous to assert ME ancestry when all the DNA evidence shows European. That being said, there is no such thing as a Palestinian people. That was a made up term. These people are Arabs. Backwards Muslim Arabs. And to suggest that if Israel is attacked it should only respond with proportionality is absurd. Should we have fought the Indians with bows and arrows to make it an even fight. We had advanced weaponry in the form of guns. That’s why we won. Are you an Ashkenazi ‘Jew’, Biagio? You speak like one. It all falls into place for me now – the Israeli ‘Star of David’ which has nothing to do with David, but is a hexagram… HEXagram, as in a curse-symbol, with 6 points, 6 triangles and a 6-sided hexagon…. 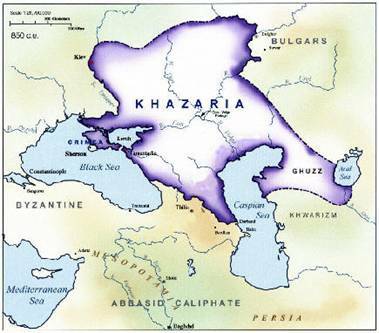 Khazar invaders and warmongers pretending to be ‘Jews, but are not’. Quite clearly, the Rothschilds and the Illuminati are completely insane. I am extremely grateful to the author of this article and website for exposing the end-times deceptions! It is quite clear that he is KHAZAR ZI0NIST SCUM,you filthy Zi0nist are dirtier then the ARABS,at least they DON,T STEAL and MURDER and pretend to be the victim. The people you call Indian did NOT start the killing the white devil’s did! It started with drugging them and stilling their property,land and deception just like they do Now with other people’s if They want what they have. Straight up satanically wicked. Of course some are truly born again Christians so they are Not party to that wickedness. LYING jew,there is no such thing as Palestinians,really, ZI0NIST PIG,these PEOPLE have been LIVING there for millennia,You filth from KHAZARIA are nothing but MURDERING THIEVES always have been,you day will come,fking SHEKEL TRADER.